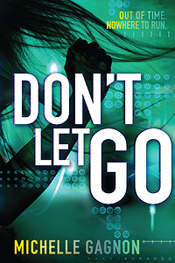 Kirkus Starred Review for DON'T LET GO! Can hackers Noa and Peter survive long enough to take down evil pharmaceutical magnate Charles Pike? Across the country teens are dying slowly of a mysterious disease known as PEMA, and Noa is pretty sure the experiments Pike's scientists did on her against her will nearly a year ago had something to do with finding a cure. With hard drives full of encrypted, possibly incriminating evidence that they stole from Pike's company, Pike & Dolan, Noa, Peter, Daisy and Teo have been on the run for over three months. Unlike some of the other activist former subjects, the foursome escaped the attack by Pike's men in Santa Cruz mostly unscathed (Don't Look Now, 2013). But Pike's men always seem to find them no matter where they hide; Peter and Noa just need time to crack the encryption. As Pike's men draw closer and Noa's health starts failing, Peter and Noa seek the help of an uber-hacker named Loki in a last-ditch effort to get some leverage to force Pike to release what he knows about a cure. 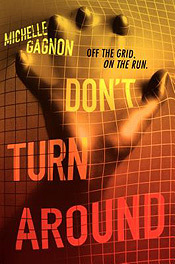 Gagnon closes her Don't Turn Around trilogy with a suspenseful page-turner that will have fans cheering. The end may be a bit too tidy for reality, but the strong characters, detestable bad guys, action and humor make this a ride no thriller-lover should miss. DON'T TURN AROUND was chosen by the YALSA for their "2013 Best Fiction for Young Adults" list! It was also selected by Kirkus Reviews as one of the Best Teen books of 2012, and was chosen by the Texas State Library Association (TAYSHA) for their 2013 recommended reading list! Third starred review for DON'T TURN AROUND! DON'T TURN AROUND received another Starred review from School Library Journal, bringing the total to 3! Gr 8 Up—Teen runaway Noa has managed to make a tolerable life for herself. She has an apartment, a job as a freelance computer security specialist (she's a hacker), and a fake foster family to make it all legal. Most importantly, she is off the grid and all but invisible—until she wakes up on an operating table with no memory of the past three weeks, a strange scar, and a ton of questions. She needs help and she needs answers, but first she needs to escape. Peter, a privileged suburban kid who leads a computer hacktivist group called /ALLIANCE/, has stumbled onto a terrible secret that may involve his whole family. Suddenly the two of them are on the run, chased by a powerful company willing to do anything to catch them and keep their secrets. Don't Turn Around is a tight, well-written thriller from a best-selling adult writer. The story opens quickly but then takes a while to gain momentum. However, by the time Noa and Peter get together, the action and the developments come fast and furious all the way to the end. The teens come across as authentic young adults and deftly walk the fine line between teenage hard-headedness and being appropriately sympathetic. There is a certain amount of computer jargon but it never slows the action, and everything is reasonably explained. The ending is left open for a possible sequel, which will surely excite anyone who reads this first installment. Don't Turn Around was featured in Entertainment Weekly Magazine! Noa, a 16-year-old orphan version of Lisbeth Salander, uses her computer-hacking skills to stay safely anonymous. But when she wakes up in an unfamiliar warehouse with an IV in her arm, Noa goes on a Jason Bourne-like search for answers—how did she get there in the first place?—in this fast-paced thriller. Don't Turn Around was a Junior Library Guild selection! The Junior Library Guild is a book review and collection development service that helps thousands of school and public libraries acquire the best new children's and young adult books, saving them both time and money. The Junior Library Guild editorial team reviews more than 3,000 new titles each year, in manuscript or prepublication stage. They narrow that group to the very best 444 titles; nearly 95 percent of their selections go on to receive awards and/or favorable reviews. Gagnon, Michelle. Don't Turn Around. HarperCollins, 2012. 320p. $17.99. 978-0-06-210290-4. Teens all around the world are dying of PEMA, a mysterious and incurable wasting disease. Noa and Peter are two teens with advanced hacking skills but radically different backgrounds. Peter is a rich kid who started /ALLIANCE/, an online group of hackers, and Noa (reminiscent of Dragon Tattoo's Lisbeth Salander) is a former foster kid who has gone off the grid, making money under an assumed identity by testing and setting up website and company security. The two teens are brought together when Peter starts poking around one of his father's business interests. This leads to a home invasion by "men in black" type goons who take his laptop and threaten him. Noa wakes up on a metal operating table with an incision in her chest, strapped to an IV, and wearing only a cloth gown. She barely escapes and goes on the run. After tapping into some money she has saved, she gets a new computer which puts her into contact with both Peter and the mysterious A6M0 who warns her when she is in danger. Realizing they are both being chased by the same people, and that it has something to do with PEMA research, they startworking together to figure out what is going on and what was done to Noa and why. 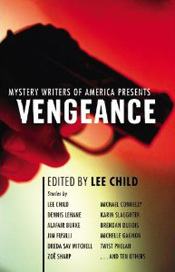 This fast-paced thriller will keep all readers, including adults, on the edge oftheir seats. This is a must-purchase title, especially for libraries looking for something besides the paranormal. Be prepared to stay up all night reading; the ending can stand alone or support a sequel. DON'T TURN AROUND makes the KIDS' INDIE NEXT LIST! Don't Turn Around was chosen for the Autumn 2012 Kids' Indie Next List—"Inspired Recommendations for Kids from Indie Booksellers"! This list features the top 10 titles for the autumn publishing season and an additional 44 selections, spanning all age groups. The Kids' Indie Next List is compiled based on nominations from independent booksellers nationwide. Kirkus Reviews loved DON'T TURN AROUND! Teenage hackers Noa and Peter band together for vengeance and discover an inconceivable conspiracy. Sixteen-year-old computer whiz Noa Torson has escaped the Child Protective Services system by creating a fake foster family that includes a reclusive, freelance IT-guy of a father who draws a tidy salary working "from home"; she thinks she's safe. When she wakes up in a hospitallike operating theater with no memory of how she got there, she doesn't take the doctors' lame explanation that she was in a car accident and uses her smarts to escape. Meanwhile, Boston child-of-privilege Peter pokes around his father's files and is interrupted by armed thugs who break down the door and storm off with his computer (leaving a warning for his parents). Peter enlists his hacktivist group /ALLIANCE/ (of which Noa is a member) to, first, research the subject of those files and then to attack his attackers via the Net. The attack only serves to dig the teens in deeper when they uncover a frightening conspiracy of human experimentation and corporate malfeasance that could mean a quick death for them both. 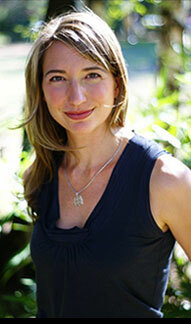 Adult author Gagnon's YA debut is a pulse-pounding scary-great read. The strong characters and dystopian day-after-tomorrow setting will have teens begging for more. The slightly open end leaving the possibility (but not necessity) of a sequel will rankle some; others will just breathlessly smile. Win a copy of Don't Turn Around on goodreads! Just can't wait until the August 28th release date for Don't Turn Around? You might not have to! HarperTeen is giving away 50 that's right, FIFTY copies of Don't Turn Around on goodreads. Entering is easy, just click the link below, then hit the button for "I desperately want my copy oh please please please give me one!" (aka: "Enter to win.") Good luck!